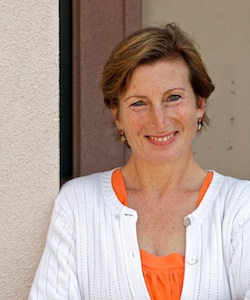 Elizabeth Depalma Digeser is the department chair and professor of History at the University of California, Santa Barbara and is one of the world’s leading authorities on early Christian thought. Her focus is on the intersection of religion and philosophy with Roman politics and the process of religious conversion in late antiquity. Digeser is the author of The Making of a Christian Empire: Lactantius and Rome (2000) and A Threat to Public Piety: Christians, Platonists, and the Great Persecution (2012), which explores the interactions of Platonist philosophers and Christian theologians leading up to the Great Persecution of 303-311 CE. Digeser was also a part of the Christianity and Freedom Project headed by the Berkley Center's Religious Freedom Project.